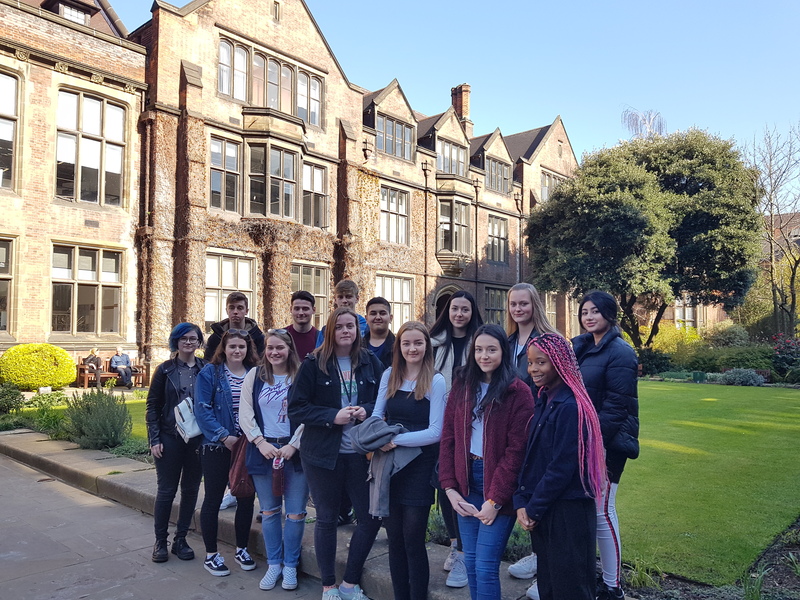 Prospective medics and dentists from the Medicine Society at QE have been able to discover the superb facilities available at Newcastle University through a guided tour of the University’s Medical and Dental Schools. QESFC’s Medicine Society is an extra-curricular group which prepares potential medics, dentists and vets for their application to these competitive courses. Students have benefitted from specialist guidance and information from service users, universities and organisations including the Royal Society for General Practitioners. During the visit, a graduate ambassador delivered an informative tour of the Medical and Dental Schools before leading several workshops which covered information about courses, admission tests and medical ethics. This allowed the group to develop their knowledge of the skills required to make a successful application. Students also sampled a range of questions from the University Clinical Aptitude Test (UCAT), the entry exam used by Newcastle University and many other institutions across the country. During the medical ethics session, the pillars of these ethics were explored and applied to real-life scenarios, a formula used in many interviews.